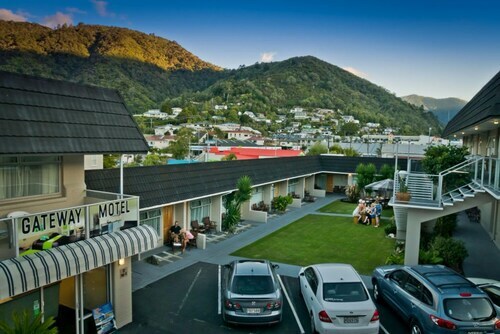 Located in the heart of Picton, this motel is within a 10-minute walk of Picton War Memorial and Picton Ferry Terminal. Picton Museum and Picton Harbour are also within 5 minutes. 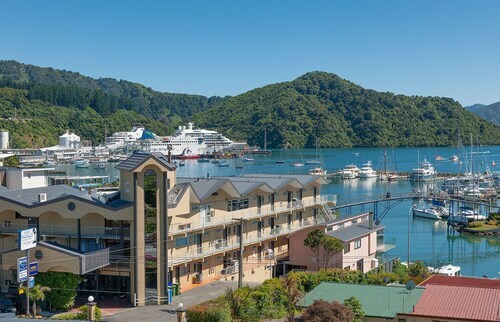 Situated in Picton, this eco-friendly hotel is within a 15-minute walk of Picton Harbour and Picton Ferry Terminal. Picton War Memorial and Picton Museum are also within 10 minutes. 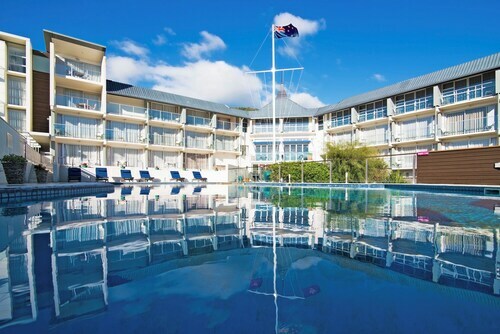 Situated by the ocean, this hotel is within a 15-minute walk of Picton Harbour and Picton Ferry Terminal. Picton War Memorial and Picton Museum are also within 10 minutes. 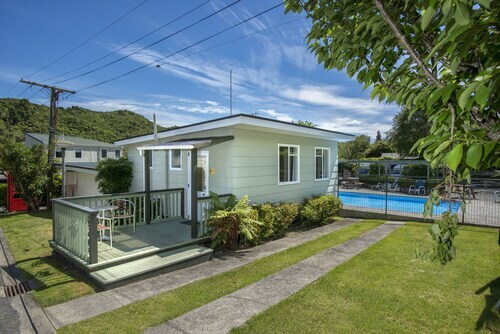 This family-friendly Picton holiday park is located by the sea, within 1 mi (2 km) of Victoria Domain and Picton Ferry Terminal. Waitohi Recreational Reserve and EcoWorld Aquarium are also within 15 minutes. Situated in Picton, this hostel is close to Picton Museum, Picton Harbour, and Picton Ferry Terminal. Area attractions also include Mabel Island and Momorangi Bay. 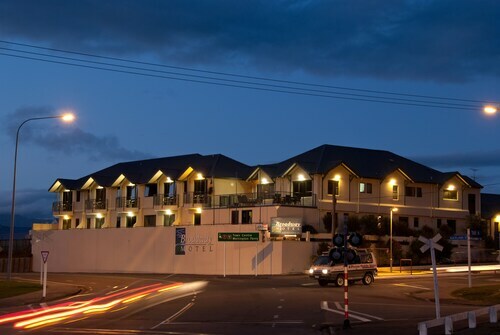 Located in the heart of Picton, this luxury inn is within a 15-minute walk of Picton Harbour and Picton Ferry Terminal. Picton War Memorial and Picton Museum are also within 5 minutes. 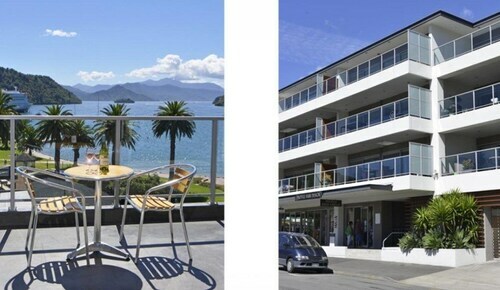 Situated on the Strip, this apartment building is steps from Picton Museum, Picton Harbour, and Picton Foreshore. EcoWorld Aquarium and Picton Ferry Terminal are also within 10 minutes. 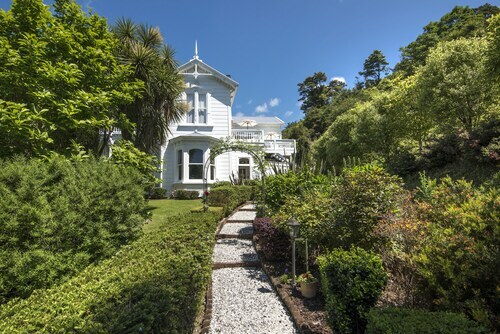 Situated in the suburbs, this historic guesthouse is within 1 mi (2 km) of Nelson Square and Picton Ferry Terminal. Waitohi Recreational Reserve and Picton Museum are also within 1 mi (2 km). Located in the heart of Picton, this motel is within a 10-minute walk of Picton Museum and Picton Harbour. Picton Ferry Terminal and Mabel Island are also within 2 mi (3 km). How Much is a Hotel Room in Picton? 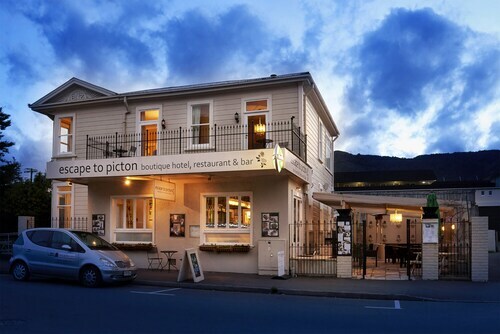 Hotels in Picton start at $54 per night. Prices and availability subject to change. Additional terms may apply. Inspiring room alternatives are plentiful in Picton. Travelocity's extensive booking guide includes 30 lodging options within a 6-mile (10-kilometer) radius of central Picton. 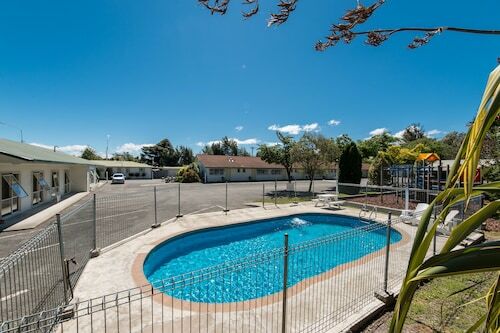 Within 0.6 miles (1 kilometer) of Picton's central area, customers of Travelocity will discover the selection of accommodation, including the Asure Jasmine Court Motel and Aldan Lodge Motel. Thrifty travelers can relax. The Picton area offers a solid range of keenly-priced hotel establishments. The Picton Yacht Club Hotel is 0.8 miles (1.2 kilometers) from the heart of Picton, while the Glengary Bed and Breakfast is 0.7 miles (1.1 kilometers) away. 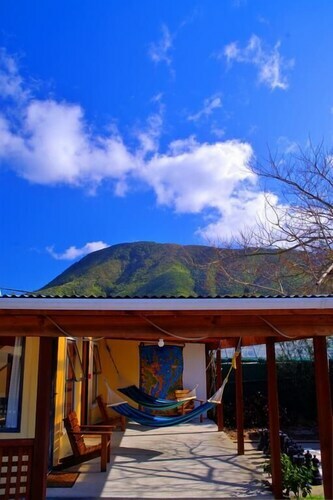 The Picton Campervan Park and the The Villa Backpackers Lodge are two alternative lower priced hotels worth investigating. The Bay of Many Coves Resort is 10 miles (16 kilometers) from the middle of Picton. Also, the The Peppertree Luxury Accommodation is located 16 miles (25 kilometers) away. 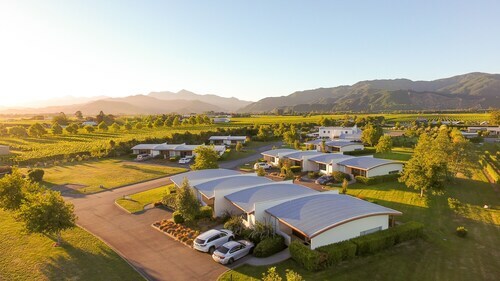 The Angel Luxury Lodge and also the Vintners Retreat are alternative options around Picton. Planning to make your way further afield? South Island is home to a number of options to check out. Explore South Island's old towns or see the region's beaches. Tireless travelers may also throw themselves into snowboarding, skiing and mountain biking in the region. Endeavour Inlet is located 16 miles (26 kilometers) to the south of Picton. During your visit, you can see the St Clair Winery. Blenheim offers a number of comfortable Travelocity-listed places to base yourself. Stop by Endeavour Inlet, where you'll find the Queen Charlotte Walkway. Endeavour Inlet is located 17 miles (27 kilometers) to the northeast of Picton. Travelocity-registered lodgings in Endeavour Inlet include the Punga Cove and Furneaux Lodge. Simply because you and your traveling partners are on a break, who's to say that you can't enjoy your obsession for sport. You will find Westpac Stadium 40 miles (64 kilometers) to the east of Picton. Visitors who enjoy the idea of staying not too far away, make a reservation in the Ohtel or Boulcott Suites. Woodbourne Airport is situated 17 miles (27 kilometers) away from Picton's downtown area. Wise visitors who desire to find a room nearby can book a room via Travelocity at the Stonehaven Vineyard Homestay or Marlborough Vintners Hotel - Heritage Boutique Collection. Hosts very helpful and thoughtful. Good location for tourist activities. Very quiet. Not a big fan of communal bathrooms, but theirs was big and never crowded! The hotel was very quaint hotel. Basic accommodation and no frills. Very clean and comfortable with a suitable kitchenette (microwave, fridge, dinnerware). Quiet and everything is within walking distance to town. Good for one to two night stay. Only negative, it was a bit pricey. Our ferry was 1 1/2 late putting us in around midnight. The key and directions were left for us and made a late night much easier. There is something wrong with the hotel staff here. You cannot be seated for a meal without a reservation even if the restaurant is empty. They said they "didn't have a clue" about the operation of their spa. Very strange.